Ski & Snowboard School Lesson - Travel Tips to Nozawa onsen Japan! To make a reservation with ski school, please ask us! * An instructor speaks English. * The price is applied per instructor. To book above lessons, please provide me with the followings. 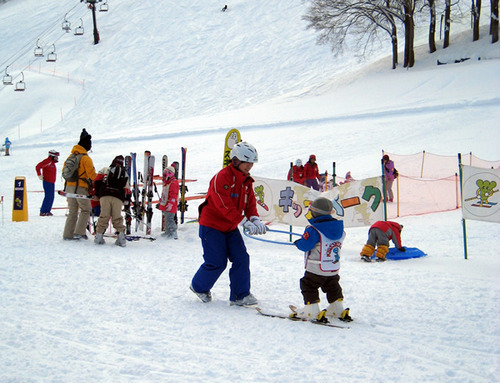 The ski school has a Everyday Lesson as well, but it is not private so that you might not have an instructor who speaks English. One day lesson : 4,000yen per person. Half day lesson : 3,000yen per person.